Happy New Year! We are a week away from celebrating our one year anniversary here at Initial Reaction and couldn't be more excited about the weekend as here in Arkansas we will finally be getting a chance to see Martin Scorsese's long-awaited Silence as well as the latest from Ben Affleck in Live By Night. We will undoubtedly also try to see Patriots Day as it expands as well leaving little room for stuff like Monster Trucks, the Jamie Foxx vehicle Sleepless, and what looks to be typical January horror fare in The Bye Bye Man. 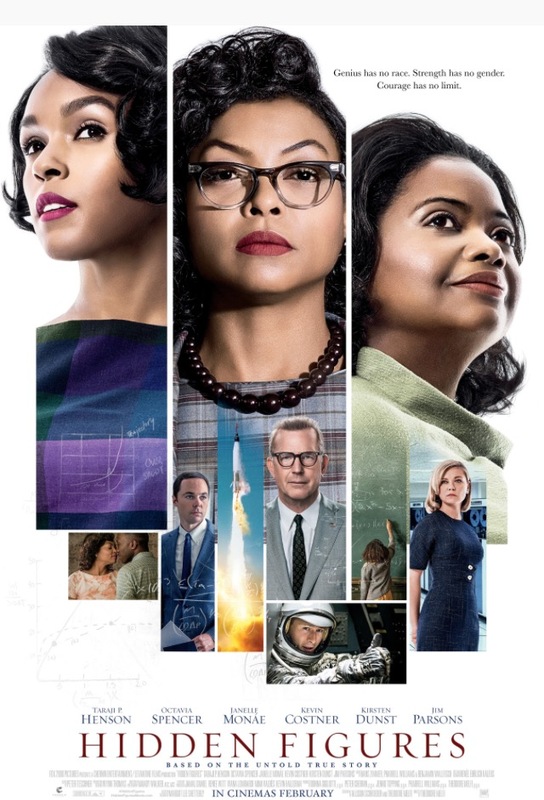 All of that said, this first week of January brings another expansion as 20th Century Fox took Hidden Figures from a limited release to nearly 2,500 theaters and when the final numbers came in today it was declared the box office champion as well as the first film to knock Rogue One from its top spot since debuting in theaters on December 15th. With a final total of $22.8 million, about $1m more than Sunday estimates, Hidden Figures bested Rogue One by a mere $800,000 as the Star Wars Story pulled in a still solid $22 million on its fourth weekend in release. This is a pretty big deal for Hidden Figures though as it was never really the ranking that mattered for, as box office pundit Scott Mendelson so finely stated, the fact the film earned $22.8 million in its opening weekend is a, "huge win for the notion that movies about women, (and) women of color no less, can be not just critically acclaimed and award-worthy but also multiplex-friendly box office hits." Mendelson goes on to say how this shouldn't be a surprise, but naturally much will be made that this type of programming is what eventually dethroned Star Wars. All of that aside, Hidden Figures certainly earns the praise it has garnered as it is a well-made crowd-pleaser with solid performances all around. As always, follow us on Instagram, Twitter, and subscribe to our YouTube channel as we have a new review (or reviews) up each week! Read my full Hidden Figures review here.